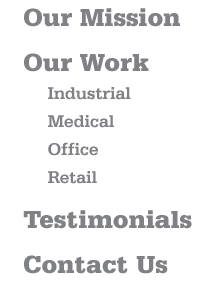 Testimonials | Alliance Development, Inc.
Alliance Development transformed my vision from a blueprint into a spectacular medical facility. They were responsive, reliable and professional through every step of the construction process. ADI provides for an exceptional experience. The level of professionalism and skill exceeded my expectations. The appearance of my office speaks volume to the quality of work that Lindsey and his staff performed.